The Alger Capital Appreciation Focus Fund achieved its five-year performance record at the end of 2017. The Fund is a focused portfolio of about 50 high-conviction, larger capitalization stocks managed by Patrick Kelly, CFA, and Dr. Ankur Crawford. We believe investors have greater long-term reward potential by investing in the Fund given its high-conviction nature. Fred Alger Management, Inc. (“Alger”) is pleased to announce the Alger Capital Appreciation Focus Fund (the “Fund”) achieved its five-year performance record at the end of 2017. The Fund is a focused portfolio of about 50 high-conviction, large capitalization stocks managed by Patrick Kelly, CFA, and Dr. Ankur Crawford. The Fund’s Z shares have outperformed its benchmark, the Russell 1000 Growth Index and the Morningstar Large Growth Category Average from inception five years ago through 12/31/17. The Fund also outperformed its benchmark in 2017 by nearly 400 basis points and the category average by more than 600 basis points. The Fund returned 34.10% on a 1-year basis, 13.41% on a 3-year basis, and 17.82% on a five-year basis as of the end of 2017. Additionally, the Fund’s returns ranked in the top quintile in the category over the past 1, 3, and 5 years (186 out of 1,363 funds for 1-year; 194 out of 1,216 funds for 3-years; and 94 out of 1,109 funds for 5-years; based on total returns as of 12/31/17). Over the past five years, Alger has expanded its suite of focused portfolios. Alger affiliate Weatherbie Capital manages the Alger SMid Cap Focus Fund, a high-conviction, focused portfolio of smaller capitalization growth equities. Additionally, in April 2018, Amy Zhang, CFA, will mark her third year as portfolio manager for the Alger Small Cap Focus Fund. On January 1, 2018, Alger lowered the management fee of the Fund from 55 basis points to 52 basis points. In addition, the Fund’s voluntary total expense ratio for the Class Z share has been lowered from 95 basis points to 68 basis points. “The combination of the Fund achieving its five-year record, its strong relative performance, and an even more attractive total expense ratio makes this Fund a compelling large cap option for investors,” said Tambone. Mr. Kelly, an 18-year veteran of the firm, began his career at Alger as a Research Associate and completed Alger’s in-house analyst training program. In September of 2001 Patrick was promoted to Senior Analyst, responsible for the Technology sector. Patrick was named portfolio manager of the Alger Capital Appreciation and Alger Spectra strategies in September 2004, and was named as head of the strategies in 2015. Dr. Crawford joined Alger in 2004 and completed the Firm’s in-house training program. Dr. Crawford was named portfolio manager of the Alger Mid Cap Growth strategy in 2010 and named portfolio manager on the Capital Appreciation Focus strategy in 2015. Additionally, she was Head of the Technology sector team from January 2013 – April 2016. 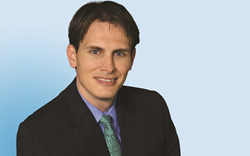 Dr. Crawford is also portfolio manager of the Alger Capital Appreciation, Alger Spectra, and Alger 25 strategies. Founded in 1964, Alger is widely recognized as a pioneer of growth-style investment management. Headquartered in New York City with affiliate offices in Boston and London, Alger provides U.S. and non-U.S. institutional investors and financial advisors access to a suite of growth equity separate accounts, mutual funds, and privately offered investment vehicles. The firm’s investment philosophy, discovering companies undergoing Positive Dynamic Change, has been in place for over 50 years. In March 2017, Weatherbie Capital, LLC, a Boston-based investment adviser specializing in small and mid cap growth equity investing, became a wholly-owned subsidiary of Alger. For more information, please visit http://www.alger.com. The performance data quoted represents past performance, which is not an indication or a guarantee of future results. Investment return and principal value of an investment will fluctuate so that an investor’s shares, when redeemed, may be worth more or less than their original cost. Current performance may be lower or higher than the performance quoted. For performance current to the most recent month end, visit http://www.alger.com or call 800.992.3863. Morningstar percentile rankings are based on the total return percentile rank that includes reinvested dividends and capital gains (excluding sales charge) within each Morningstar Category. The highest (or most favorable) percentile rank is 1 and the lowest (or least favorable) percentile rank is 100. If sales charges were included, performance would be lower and the rank may be lower. Rankings and ratings may be based in part on the performance of a predecessor fund or share class and are calculated by Morningstar using a performance calculation methodology that differs from that used by Fred Alger Management, Inc.’s. Differences in the methodologies may lead to variances in calculating total performance returns, in some cases this variance may be significant, thereby potentially affecting the rating/ranking of the Fund(s). When an expense waiver is in effect, it may have a material effect on the total return or yield, and therefore the ranking for the period. Fred Alger Management, Inc. has contractually agreed to reimburse Fund expenses (excluding interest, taxes, brokerage, and extraordinary expenses) through August 29, 2018 to the extent necessary to limit the total annual Fund operating expenses of the Class Z to 0.68%, of the class’ average daily net assets. This expense reimbursement cannot be terminated. Fred Alger Management, Inc. may recoup reimbursed expenses during the one-year term of the expense reimbursement contract if the expense ratio falls below the stated limitation at the time of the reimbursement. Please see the prospectus for more details on contractual waivers. Before investing, carefully consider the Fund’s investment objectives, risks, charges, and expenses. For a prospectus or summary prospectus containing this and other information about the Fund, call (800) 992-3863, visit http://www.alger.com, or consult your financial advisor. Read it carefully before investing. Distributor: Fred Alger & Company, Incorporated. Member NYSE Euronext, SIPC. NOT FDIC INSURED. NOT BANK GUARANTEED MAY LOSE VALUE.